We work alongside Aboriginal communities to develop and deliver initiatives that provide opportunities for digital inclusion, community engagement, and success through education, training and employment. Our initiatives champion the use of technology to enable and celebrate the growth and understanding of Aboriginal and Torres Strait Australia for all Australians. Be courageous, Show respect, Be inclusive, Strive for fairness, Uphold integrity. Dr Shayne T Williams is from from the Aboriginal community of La Perouse, located on the northern side of Botany Bay in Sydney. His parents were Thomas Henry Williams OBE and Iris Williams (née Callaghan). He is Dharawal through his paternal and maternal grandmothers. He is also Dhungutti through his maternal grandfather and Gomilaroi through his paternal grandfather. He is also connected to the peoples of Victoria through his paternal great-grandfather. From 1991 to 2011, Shayne worked within the tertiary sector, specialising in Indigenous studies, Indigenous education and Indigenous research. He is currently an Aboriginal Language and Culture Consultant with the NSW AECG Inc. In this role he is actively engaged in promoting the advancement of Aboriginal language and culture nests within New South Wales and advancing localised Aboriginal cultural education through curriculum development and professional development of teachers. Aaron has worked in the Information Technology sphere of the education market since 1994. In 2010 Aaron co-founded Momentum Cloud a leading provider of online school administrative systems. Aaron's contribution is motivated by his paths intersection with Joe Anderson’s story and his work alongside Australia’s first peoples within the education technology sphere. Aaron has been an active advocate for how technology can play a role in supporting equality for all Australians through the delivery of online tools that improve offline relationships, community engagement and an individual’s confidence in their identity. Cindy grew up in the inner city of Sydney and is a Ngunnawal woman descending from the Bell family in Yass. As a secondary mathematics teacher, she commenced her teaching career in 1984 and has held various executive positions both within schools and across NSW Department of Education. Cindy has also lectured at Sydney University and University of Western Sydney. Cindy believes Aboriginal people should self-determine their own future and has a strong commitment to social justice. As a former Director of Public Schools NSW, Paul led high level organisational strategic planning, resource management and workforce development. This included initiatives across all levels of government, the private sector and non-government organisations. Paul also had responsibility for the Aboriginal Education portfolio across an area that ranged from Wollongong to the Victorian border and across the Snowy Mountains, Monaro and Queanbeyan regions. Ben Ballard has had many roles working within the education sector starting as and Aboriginal primary school teacher. Ben has been an active member of the Teachers Federation since joining the NSW Department of Education in 2004 after a career within the NSW Department of Sport and Recreation. Ben has been an Aboriginal Executive member and a Councillor for the Aboriginal Members Roll since 2009. A Project Officer and a Relief Officer at Federation Head Office and a Queanbeyan delegate to Federation’s Annual Conference. Ben understand that to assist all teachers to continue providing the best education possible in schools, schools must be provided with adequate funding, resourcing and the continuation of programs that are already providing excellent results. Melinda has dedicated many years of her career in support of the next generation of proud Aboriginal Australians. She has worked at the forefront of support for young Aboriginal people for over 20 years. Melinda is passionate about helping students, teachers, parents, carers, schools and communities to engage and participate within Aboriginal culture. 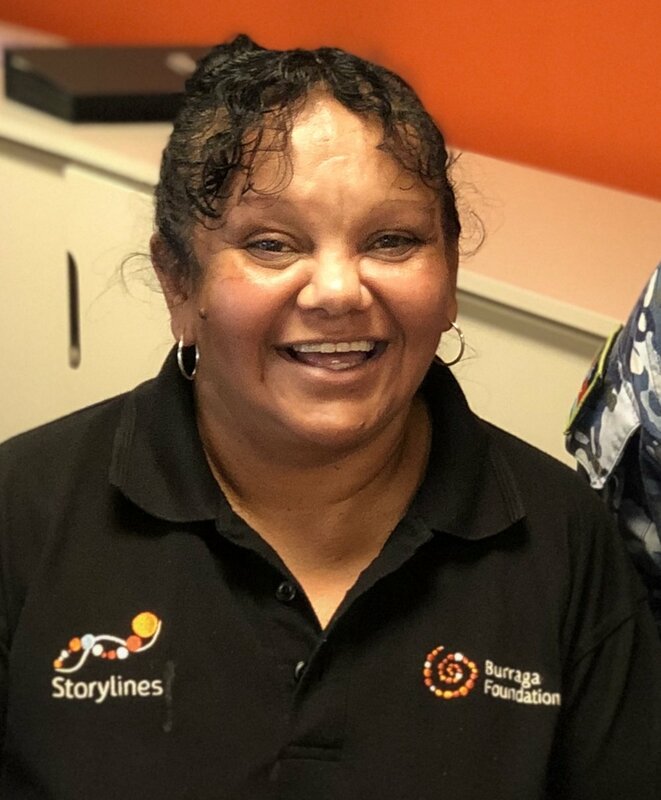 Her passion has seen her work as a Project Officer for the NSW Aboriginal Education Consultative Group, supporting Aboriginal communities and schools to engage around Aboriginal Education, Aboriginal cultural perspectives and in achieving improved student learning outcomes. In 2013, Melinda was awarded citizen of the year for Lake Macquarie in recognition of her work supporting students within the local community. Melinda has also received recognition through her part time acting career, appearing on TV shows such as Black Comedy, Black force and the SBS Clever Man series. Most importantly Melinda was instrumental in the delivery of the MGoals Initiative, the precursor to Storylines. Working as a Project Officer of MGoals, Melinda worked extensively with Community and partners to inform and evolve the MGoals into what Storylines is today. Ross Fowler is from Liverpool NSW, located in the South West region of Sydney. His parents are Iris Jane Fowler (nee Dixon) and John Fowler. Ross is Dharawal through his maternal grandmother Ellen J James (nee Williams). Ross also has connections with Dhungutti through is paternal grandfather and Kamilaroi through his paternal great-grandfather. He is also connected to the peoples of Victoria through his paternal great-grandfather. Ross currently resides in the Australian Capital Territory. Ross currently works for the ACT Government as a Senior Advisor, Social Inclusion, driving areas in equality in employment; engagement and accessibility; leadership and workplace diversity and inclusion. He combines an employment history in government sectors at all levels (local, state and territory), with experience in the community sector. Most significantly, he has strong and ongoing ties to many Aboriginal and Torres Strait Islander organisations and communities, and a passionate commitment to his people, especially his family and supporting young people to thrive. 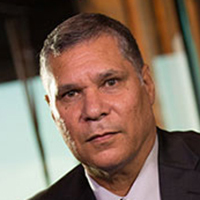 Ross has served in the previous term on the ACT Aboriginal and Torres Strait Islander Elected Body, where he undertook the role of Member and then later the Chairperson. Ross was the first openly gay Chairperson of this Body. Ross is also a current member of the Gugan Gulwan Youth Aboriginal Corporation and the ACT Aboriginal and Torres Strait Islander LGBTIQ Network. Ross is very passionate about social justice, ensuring that his people have access to educational outcomes; that his people have gainful employment and that his LGBTIQ community have the opportunities to participate fully in the community.